Have you ever searched “Hardwood Floor Refinishing Johns Island SC” online, only to find a confusing mix of results? Luckily, Fabulous Floors is here! We’re ready to help you with your next refinishing project with our state-of-the-art process and highly trained professionals! Are you disappointed with the appearance of your hardwood floors? Before you consider and research methods that involve you covering up your worn floors or having them completely replaced, call Fabulous Floors Charleston and allow us to save you time and money with our hardwood floor refinishing process! 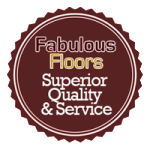 You can count on Fabulous Floors Charleston to offer you integrity and high-quality service. We’re sweeping the Johns Island area with our hardwood floor refinishing service. Our professional technicians are certified and have experience with many hardwood floor services. In addition, they are trained in all aspects of service to provide our customers with a complete, satisfying experience. Call today to set up your hardwood refinishing appointment in Johns Island, SC with Fabulous Floors Charleston. At Fabulous Floors Charleston, we are very conscious about the environment. We are efficient and affordable, but also hold the GREENGUARD certification with our products. Since day one, our company has put a focus on being environmentally aware and conscious. We want you to have the best experience possible and also offer products and materials that are good for the environment. Our methods and equipment generate very little dust, so clean up after our refinishing service is very minimal. We want to leave your home cleaner than we found it! Don’t delay your hardwood refinishing project. We look forward to hearing from you and providing the help you need to restore your hardwood floors to their original beauty. Don’t wait to refinish your hardwood flooring in Johns Island. Give us a call today at (843) 212-7722, and receive a free, no-obligation price quote! Contact us today to learn more about Fabulous Floors hardwood floor refinishing in Johns Island, SC! Servicing the following areas: Charleston, North Charleston, James Island, Johns Island, and more.